Caffeine tops the list when it comes to the most commonly used psychoactive drugs. It has been in use for almost time immemorial and is continuously being reinvented to satisfy the growing tastes of the consumers. 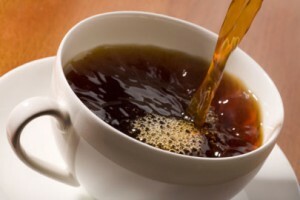 Caffeine is a natural stimulant that is present in so many products that nearly everyone consumes some amount of it. Caffeine can be found in coffee, tea, soda and chocolate. Many medications such as painkillers, cold treatments and appetite suppressants contain caffeine. This ingredient can even be found in some topical creams for the treatment of dermatitis. Usually, people take caffeinated beverages for its stimulating effects, although others take it for other reasons. There are countless beverages and even food products that contain caffeine. Caffeine derives its name from the French word “café” and German word “kaffee”, both pertaining to coffee. The chemical name of caffeine is 1,3,7-trimethylxanthine which is crystalline xanthine alkaloid that has a distinctive bitter taste. It is naturally found in varying quantities in certain plants. Caffeine is thought to act as a natural pesticide or pest deterrent because of its ability to paralyze and even kill certain insects. However, for humans this substance has a stimulating effect. Caffeine works by stimulating the central nervous system, muscles and heart. It can increase blood pressure and act as a diuretic. Though caffeine is regularly found as an ingredient in food, beverages and medication, it is available on its own as well in the form of caffeine pills. These tablets typically come in a dose of 100 to 200 mg for a standard tablet or 200 to 250 mg for a timed-release capsule. It is estimated that around 90% of the world’s adult population consume caffeine on a daily basis. Different studies are being done to know more about the health benefits as well as the consequences of this substance. Caffeine in the form of caffeine pills such as No Doz, Vivarin and Quick-Pep is used to give the individual more energy and prevent drowsiness. Caffeine also increases alertness and may improve coordination. Caffeine is used in painkillers to treat headaches and migraines. There is a moderate amount of evidence to suggest that caffeine may also be effective for preventing dizziness, gallstones, type 2 diabetes and Parkinson’s disease. It may also help to treat asthma, increase weight loss and improve physical endurance and overall performance for athletes. As mentioned earlier, caffeine is a naturally occurring substance that is found in certain plant sources, specifically in the fruit, leaves, beans and seeds. The most popular sources of caffeine are the coffee plant and tea bush, although it is also found in over 60 plants worldwide. Some manufacturers produce synthetic caffeine which is added to beverages, foods, medications and supplements. The top sources of caffeine include coffee, cola drinks and tea, and cocoa and chocolates. Most nonprescription drugs and weight control supplements also has caffeine as one of the ingredients. It is also found in countless other foods and beverages. In the U.S., manufacturers are required to list caffeine in the product label or nutrition information. Read the product label to know whether caffeine is included in the food products that you consume. Caffeine is immediately absorbed by the body, usually within 30 to 45 minutes after ingesting a caffeinated beverage or food product. Its effects can last for two to three hours, and is eventually excreted, so accumulation in the body is rather unlikely. The potential effects of caffeine depend on the amount of caffeine taken. Because of its diverse effects, caffeine may not be suited for everyone and intake should be kept in moderation. According to the Food and Drug Administration and the American Medical Association, caffeine is generally safe when taken in moderate amounts. Studies have shown that moderate intake of caffeine should not cause or lead to problems. Most of these studies have been conducted on adults. Moderate caffeine intake means two to four cups of brewed coffee per day. The average daily consumption of caffeine in the U.S. is approximately 280 mg/day, although it is estimated that around 20-30% have a daily consumption exceeding 600 mg. However, some people may need to limit or even completely stash off caffeine from their diet. If you consume more than 500 mg/day or more than 5 cups of coffee in a day, you may need to consider reducing your daily consumption of coffee. People who are sensitive to caffeine and easily develop side effects may also require lower doses. Some people with underlying medical conditions may also be advised to limit or avoid consuming caffeine. One misconception that many people have is that decaffeinated beverages do not contain caffeine. But the truth is that, these drinks do contain caffeine, usually the dose is lower than regular products. If you consume too much of these decaffeinated beverages in a day, you can end up taking more caffeine than you would from a cup of coffee. Since it is difficult to know the exact amount of caffeine in different foods and beverages, it is recommended that consumers limit their intake of both caffeinated and decaffeinated products. Energy drinks are highly caffeinated beverages designed to give individuals an extra boost of energy.